Lough Gur Stone Circle is not just the oldest and largest stone circle in Ireland, but also Western Europe or so Tim Casey the farmer who owns the land, and self-appointed caretaker / tour guide tells me. It has been in his family for generations so he has seen just about every type of visitor imaginable come and go. 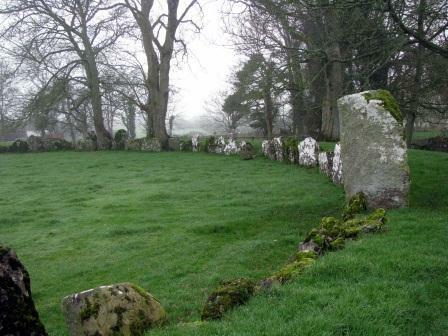 Tourists are understandably curious about this huge circle of standing stones easily visible from the R512 between Grange and Bruff in County Limerick. 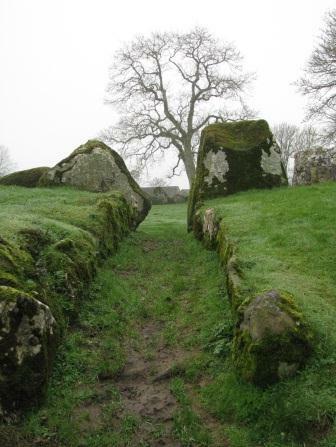 Some 46 metres in diameter with a high earthen mound circling the perimeter, evidence of it's age is in the stones themselves, weathered, lichened and mossy, many encased in tree roots. Countless experts have come to investigate further the solar alignments, history and possible purpose of this 4,100 years old antiquity. Hippies, or spiritualists as Tim calls them, descend every Midsummer's Eve for a night of festivities, feasting and whatever...culminating in a dawn vigil to observe the sunrise through the passageway. It’s quite something this stone circle, shrouded in myth and mystery, like the whole area surrounding the fabled Lough Gur, where the ghost of the last Earl of Desmond is said to ride his white charger with the silver shoes out of the lake every seven years. Evidence of continuous human habitation over the last 6000 years only came to light when the lake was drained in the middle of the last century and 1000’s of objects flints, axes and spearheads, fragments of Beaker pottery and an impressive bronze shield were found on the newly exposed shoreline. 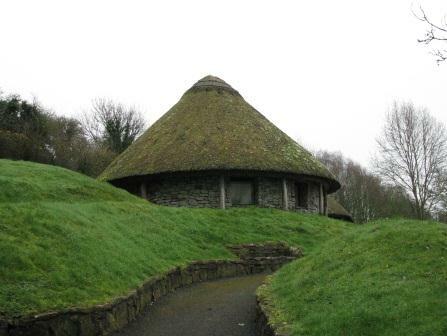 Piecing together these finds led to the whole history of the area from Neolithic times being identified and in some cases reconstructed as at the Lough Gur Centre. For admission prices, opening times and special events please visit the website link below. 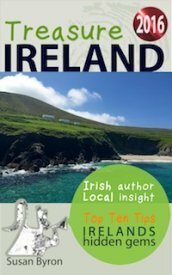 1 Killmallock Medieval walled city with ruined castle and friary, small museum, guided walks during the summer. 2 Bruree visit the birth place of the first president of Ireland Dr Eamonn DeValera. 3 Ballyhoura walk, run, mountain bike or hike on horseback through the foothills of the Ballyhoura Mountains. 4 Terra Nova little more than a barren 1/2 acre site 10 years ago this new garden is winning prizes all over Ireland for its varied plant collection - open April to October, admission €5. 5 The Old Bakehouse Restaurant Bruff, home cooked fresh food and baked delights, scones, applepies, cakes....a little slice of heaven, thank you. 6 Old Bank Town House provides Bed & Breakfast accomodation in nearby Bruff and is a perfect base for touring the Golden Vale and surrounding counties. 7 Castle Oliver restored fairytale, red sandstone castle, privately owned although available for hire when the family are not in residence. 8 Doneraile Park very beautiful national park with mature woodland and river walks with protected herds of species reindeer. 9 Croom Water Mills restored granary, heritage centre, craft shop and restaurant in the nearby town of Croom, heard this is closed will check it out and update. 10 Desmond Hall currently being restored the ruins of two of the former High Kings of Irelands castles and meeting halls at Newcastle West.